An occupational name for someone who made or sold small articles made of horn, a metonymic occupational name for someone who played a musical instrument made from the horn of an animal, or a topographic name for someone who lived at a ‘horn’ of land. Details of the Horner family from Grewelthorpe and surrounding area. Bob Horner writes in Dec 2017. If you can help him please let us know. I descend from Anthony Horner and Elizabeth Ryder of Spennithorne. Anthony was the parish clerk of Spennithorne. I had him as born 1735 and you have him as b1732 son of William and Margaret Hodgson. I had not been able to find parents for Anthony H but I found some evidence of an Anthony H living at or near Spennithorne of the age to be his father or brother to your William. Do you have any references or information you can add, please? Any reference for the him being born in Coverham would be particularly interesting. Thanks to Jill King for following information. [may 2012] I am writing a book about William Horner. He arrived in my village (Cuddington, Northwich, Cheshire) in the mid 1870s and set up a Creamery. The business went from strength to strength and William Horner’s Creamery Ltd was very important to the livelihood of many families in our district right up to 1963/4 when Express Dairies took over. William Horners creamery in Cheshire. William was born to Mary and George Horner in Fingerfield House, Grewelthorpe in 1827 and left when he was about 19yrs to seek his fortune in Liverpool. I am finding it extremely hard to find a photograph of the man in question and was wondering if you could help me. 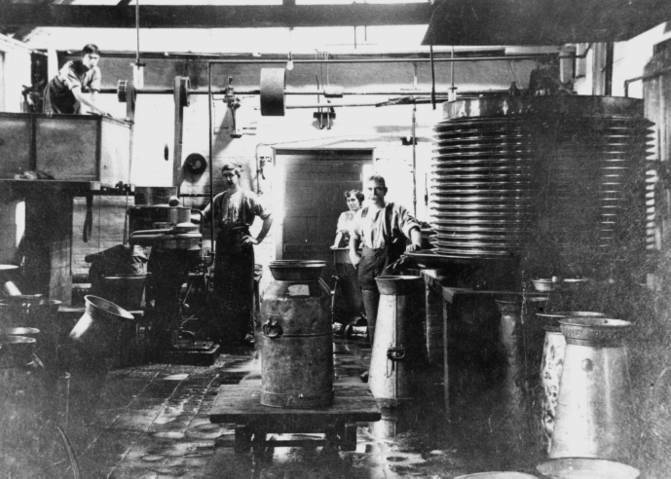 I realise it is a long shot but I do have one of the inside of his creamery over 100 year ago and the central figure of the 3 in the picture could well be him. An old wedding photo where he was a guest or the like, I think would confirm it.His elder brother, Thomas, who became a doctor, did come back to live in Grewelthorpe and was lodging with the Allinson family in the 1881 census. If you can help Jill please contact the web site. *Roger King contacted us again in Dec 2012. *Earlier this year, my wife Jill King, contacted your ‘History Society’ regarding Grewelthorpe born William Horner who established a flourishing business in our village of Cuddington, Cheshire. She was in contact with a lady called Barbara Bradley whose kind assistance is acknowledged in the book. The illustrated hardback – 120 pages- has now been published and is available at £11.95 via our email address or www.cc-publishing.co.uk .There is only fleeting mention of Grewelthorpe plus photographs kindly provided by your History Society. 220 books have been printed and since delivery a fortnight ago in excess of 150 are either sold or spoken for. We will sell out in the New Year. You see I’m not sending this information in an attempt to drum up sales but rather to give an opportunity for someone with say a genuine family connection to have an opportunity to obtain a copy. Letter received from Gary Horner in Jan 2013.I have been doing a bit of tracing re my British ancestors. My grandfather, Arthur Horner, immigrated to New Zealand in the early 1900s. Its always been a bit of a mystery why he did this…he married here in 1911 to Mary Hayward who apparently came with him by ship. Arthurs father was William Horner, the creamery owner at Cuddington, and he listed his mother as Ann Horner (nee Coops). He was born in Liverpool in around 1872 (when he married in 1911 he was 39). He gave his profession as milk factory manager and Manchester as his English residence. He seems to be significantly younger than the other brothers and sisters from wife 1. I note he did not make your list of Horner’s although his brothers and sisters were there. Arthur had 2 sons: my Father Ronald William and Cyril Arthur George (killed in WW2). May help you update your records. If you find anything out about Arthur let me know. He may have been the ‘black sheep’ of the family. If you can help Gary please contact the site. Thanks to Graeme Douglas for contacting the site [Dec 2013] with the John Horner [1832-1920] tree and allowing us to use his photos.He would like to hear from anyone who can help with Thomas Horner & Ann Kidd. William Horner & Mary Foster. & Matthew Gains & Mary Moor. If you can help Graeme please contact graemedouglas60@gmail.com. ABRAHAM HORNER. Born C1775 Bedale. Died 1868 age 93. Master Mason. Grandfather of George who was his apprentice. ALICE HORNER. Born C1816 Pontefract. Married Thomas Boddy of Grewelthorpe. The Mother of William Horner Boddy. See obituary at end. ANN HORNER [NEE?]. Born ?. Kirkby Malzeard. Died 1752. married in 1734 to Thomas Barker. b.1705. Sourmire. Colsterdale. ANN HORNER. Born 1827 Mickley. Died 1897 Ripon. Dau of Thomas & Mary Parnaby. Married  George Hallas. in 1874. Samuel Sanders. in 1890.Went to Australia in 1853 but returned to England. ANN HORNER. Born 1799 Tanfield. Died 1886 Leeds. Married Christopher Ascough. in Masham in 1824. Lived in Grewelthorpe for most of married life. See Ascough page. ANN HORNER. Born 1868. Dau. of William [creammaker] & Ann Coops. ANTHONY HORNER. Born C1732 Coverham. Son of William & Margaret Hodgson. Married to Elizabeth Ryder. of Spennithorne. in 1761. Had 9 children. See letter from Bob Horner above. ANTHONY HORNER. Born C1772 Sawley. Father of Dorothy. Shoemaker. ANTHONY HORNER. Born 1795 Nafferton. Son of Ralph & Mary Burton. Married Hannah Eskreet. of Kilburn. BEATRICE CHARLOTTE HORNER. Born 1881. Cuddington Cheshire. Dau of William [cheese maker] & Elizabeth H.Mountford. CAROLINE HORNER. Born C 1858 Liverpool. Dau of William [cheese maker] & Ann Coop. CHRISTOPHER HORNER. Born c1775 Bedale. 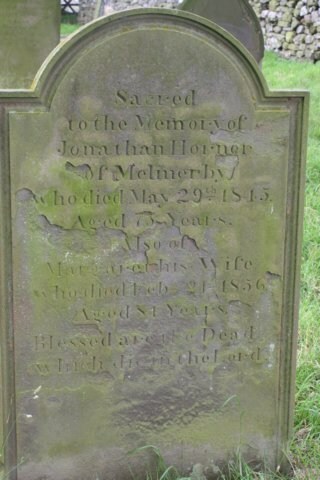 Died 1852 Bedale. Married Ann Simpson. of Bedale. Father of Christopher b1826. CHRISTOPHER HORNER. Born 1791 Azerley. Died 1823 London. Son of John & Susanna Stott. Married Maria?. in 1823 in London. Had a daughter Maria who lived in Suffolk. CHRISTOPHER HORNER. Born C1813 Bedale. Son of John. Married to Elizabeth of Grinton. Innkeeper at “Velocipede” in Morton on Swale in 1861. DOROTHY HORNER. Born C1772 Dallowgill. Died 1855. Wife of John. Living in Laverton in 1851. DOROTHY HORNER. Born C1774 Spennithorne. Died 1851. Dau of Anthony & Elizabeth Ryder. married to Thomas Dennison. [1772-1841] of Spennithorne. DOROTHY HORNER. Born C 1806 Bishop Monkton. Dau of Anthony the shoemaker. Married to Christopher Burnett. in 1851 living in Spofforth. EDITH HORNER. Born 1870 Dau of William [creammaker] & Ann Coops. EDWARD HORNER. Born C1850 Laverton. Son of Roger & Elizabeth of Carer Syke. poss twin of John. ELIZABETH HORNER. Born C1826 Melmerby. Dau of Jonathan & Margaret. ELIZABETH ANN HORNER. Born 1865. Died Dec 1924. Dau. of Robert & Jane Spence. EMILIE HORNER. Born C 1856 Liverpool. Dau of William [cheese maker] and Ann Coop. GEORGE HORNER. Born 1620. Died 1695. Son of John. Married Isabel Braithwaite. GEORGE HORNER Born C1732. Buried 30 May 1821. Lived Fingerfield Grewelthorpe. Married in 1760 to Jane Auton. she died in 1792. Married to  Alice Heath. in 1794. GEORGE HORNER. Born C 1774 Masham. weaver. Widower in 1851. living with son Thomas. in Aismunderby. GEORGE HORNER. Bap 6 Dec.1796. Son of George & Alice of Fingerfield. GEORGE HORNER. Born 1836 Mickley. Died 1913 Australia. Son of Thomas & Mary Parnaby. Went to Australia in 1853 with rest of family. Married Deborah Peacock. in 1858. had 11 children. George Horner 1836 – 1913. GEORGE HORNER. Born C1836 Bedale. Apprentice Mason with his Grandfather Abraham in 1851. GEORGE HORNER. Born 1867. Died 1942. Son of William [creammaker] & Ann Coops. Married Mary.Rev. G.H. [or F.D.] HORNER. resided at Kirkby Malzeard vicarage in 1882. Reported in the Leeds Times May 1882. He was a famous florist, one of the first growers of auriculas in the kingdom. Last year he carried off prizes in London for this flower. The varieties he grows are the very best of their kind. In his conservatory he had a fig tree, and numerous tulips. He was also growing mistletoe on an old apple tree. JANE HORNER Bap 17 June 1799. Dau of George & Alice Heath. of Fingerfield. JANE HORNER. Born 1801 Middlesmoor. Dau of Simon. A Pauper in 1851 living with her Father. JOHN HORNER. Bap 9 March 1761. Son of George & Jane Auton of Fingerfield. JOHN HORNER. Born 1766. Died 1819. Son of Thomas & Ann Kidd. Married Susanna Stott. in 1790 Kirkby Malzeard. They had 8 children. Susanna died 1811 and John married  Ann Dale. they had 1 daughter Ann. JOHN HORNER. Born C1771 Nidderdale. Died 1862. Married to Dorothy of Dallowgill. 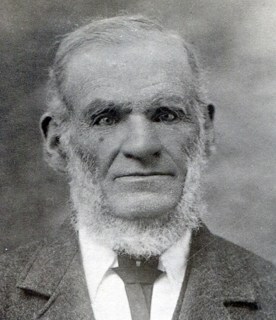 A pauper in Laverton in 1851. JOHN HORNER. Born c1776 Bedale. Widower & A Pauper in Bedale in 1851.In 1861 he was living with his son Christopher the Innkeeper at Morton on Swale. JOHN HORNER. Born March 1832 Mickley. Died Aug. 1920 Australia. Son of Thomas & Mary Parnaby.. Went to Australia in 1853. Married Anna Boreham in 1869. They had 5 daughters. 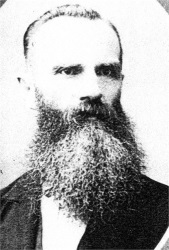 John Horner 1832 – 1920. JOHN HORNER Born C1850 Laverton. Son of Roger & Elizabeth of Carter Syke. Poss twin of Edward. JOHN HORNER. Born 15 May 1920. Cowman with his Father Richard W. Horner in Galphay in 1939. JONATHAN HORNER. Born C1770. Died 29.5.1845. Husband of Margaret. Grave of Jonathan & Margaret of Melmerby. LAURA HORNER. Born C1864 Liverpool. Dau of William [cheese maker] and wife Ann Coops. LOUISE HORNER. Born C1861 Liverpool. Dau of William [cheese maker] and Ann Coops. MAUD MARY HORNER. Born 1870 Dau of William & Ann Coops. Twin of Edith. MARGARET HORNER [Nee?]. Born C1776 Melmerby. Died Feb 1856. Mother of Thomas & Martha, Elizabeth & Mary of Melmerby. Wife of Jonathan. Widow in 1851. MARIA HORNER. Born C1817 Middlesmoor. Dau of Simon & Mary. Had illeg. son William b. 1843. MARTHA HORNER. Born C1811 Melmerby. Dau of Margaret. Unmarried living with her brother and nieces in 1851. MARY HORNER. Born C1831 Melmerby. Dau of Jonathan & Margaret. MARY HORNER. Born 1834 Mickley. Died May 1928. Bedale. Dau of Thomas & Mary Parnaby. Married James Beckwith. [leather merchant] in 1883. She did not go to Australia with the rest of the family. In 1911 she was a widow living in Masham with her stepson Richard. 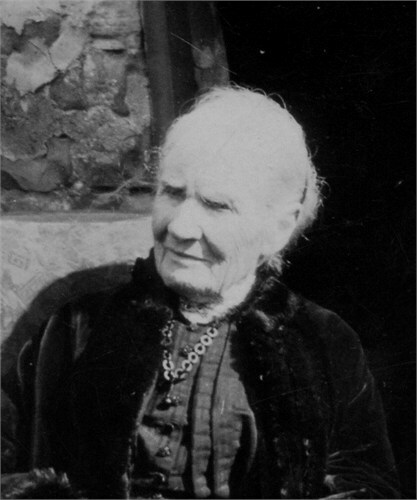 MARY HORNER Born C1845 Laverton. Dau of Roger & Elizabeth of Carter Syke. RALPH HORNER. Born 1766 Spennithorne. Died 1811. Son of Anthony & Elizabeth Ryder. married Mary Ann Burton. of Scorborough in 1794. ( Scorborough is a small village near Leconfield in the East Riding. Mary Burton came from Winteringham near Malton. RICHARD W. HORNER. Born 16 July 1885. Dairy Farmer at Plover Hill in Galphay in 1939. He was a widower living with his son John. ROBERT HORNER. Born 1840 Mickley. Died 1875 Ripon. Son of Thomas & Mary Parnaby. Married Jane Spence. of Grewelthorpe in 1864. ROGER HORNER Born C1816 Dallowgill. Married to Elizabeth of Snape. Living Carter Syke, Dallowgill in 1851. ROSA HORNER. Born 1885 Died 1892. Dau of William & Elizabeth Mountford. SARAH ELLEN HORNER. Born Dec 1869. Died July 1932. Dau of Robert & Jane Spence. SIMON HORNER. Born C1776 Middlesmoor. Died 1868. Married to Mary of Middlesmoor.There is a plaque in Middlesmoor Church to commemorate a peal of bells donated to the church by Simon Horner.To the service and the glory of God this peal of 6 bells in this tower is presented AD1868 in affectionate remembrance of Simon Horner, merchant of Hull 1735-1829. His wish that his native place should have a good peal of bells. Excerpt from Topographical History of Masham & Middlesmoor.also Simon Horner, in 1809, gave a rent-charge of £20, for the education of poor children. [in Masham] Excerpt from Ann Godden’s “ House on Salthouse Lane“At some point much of [Simon]Horner’s property passed to his nephew, also Simon. Uncle and nephew were wealthy property owners, and Simon senior had a house at Middlesmoor near Kirkby Malzeard in the Yorkshire Dales which he passed on to his nephew. In 1809 he had granted £20 per annum out of his estate at Stonebeck to pay for a Schoolmaster to teach poor children, and later built a School House. He died in 1828. Simon Horner junior had a reputation as an eccentric. He lived….. with his brother and sister, all three of them unmarried. A contemporary description of Simon, from John Richardson. He was the last man in Hull as a gentleman who wore Hair Powder.He was one of the old school of polite gentlemen of the days of Fox and Pitt and to the last wore a blue coat with gilt buttons, a thick and loose white kerchief folded round his neck falling down in front, his garments were not made fashionable but fitted him loosely and his well-powdered head and agreeable manners at once stamped him as a gentleman, unpretending and unassuming. I had often interviews professionally with him, and whenever he visited me and placed his well-powdered head upon the black velvet cushion of my chair, and left his mark upon it, he invariably left a sovereign to dust it clean. He was a most humane and inoffensive man, generous to a degree, often giving his money to very unworthy people rather than refuse to do good acts, I do not think he had a single enemy, so good and even and Christian were the even tenors of his way of life. As a fine old English gentleman, he was punctilious as to the mode in which gentlemen should receive each other, and his opinions were that men in the higher ranks of society, if they could afford it, should descend from their high position to guide and lead the people, and spend their incomes as much at home as possible. He did this and therefore if anyone in a higher station of life was mean and avaricious he disliked it much. Horner was also a shrewd businessman. He owned considerable property in Hull, including plots in the New Street, soon to be known as Parliament Street. In High Street he owned warehouses, quays and staithes. He died in1841. THOMAS HORNER. Born 1663. Died 1728. Son of George & Isabel Braithwaite. Married Jane Thompson. THOMAS HORNER. Son of Thomas & Jane Thompson. Married Mary?. Father of Thomas. THOMAS HORNER. Born 1727. Died 1817. Son of Thomas & Mary. Married Ann Kidd. THOMAS HORNER. Born C1771. Living West Tanfield 1841. THOMAS HORNER. Born 1.1.1794 Carr Bank. Died 17.5.1869 Mickley. Memorial in Mickley churchyard. Son of John & Susanna Stott. Married Mary Parnaby. in 1792 in Kirkby Malzeard. He was a yeoman. Thomas Horner & Mary Parnaby. THOMAS HORNER. Born C1815 Middlesmoor. Son of Simon & Mary. Coal Miner in 1851. THOMAS HORNER. Born C 1816 Melmerby. Son of Margaret. A Farmer unmarried in 1851. THOMAS HORNER. Born C1826 Fingerfield Grewelthorpe. Son of George & Mary. He was a doctor in 1881. THOMAS HORNER. Born 1829 Mickley. Died 1849 of Typhus. Son of Thomas & Mary Parnaby. THOMAS W. HORNER. Born C 1854 Liverpool. Son of William [cheese maker] and wife Ann Coop. He was also a cheese maker. unmarried in 1891. WILLIAM HORNER. Born C1706 Yorkshire. Son of William. Married Margaret Hodgson. Father of Anthony.b. 1732. WILLIAM HORNER. Born 1825 Angram Farm. Middlesmoor. Died 1906 Australia. Son of Thomas & Mary Parnaby. Married  Mary Milthorpe of Topcliffe in 1850. They went to Australia in 1853. Mary and their child died on the voyage. Married  Emma Peacock. in 1854. They had 8 children. William Horner 1825 – 1906. WILLIAM HORNER. Born C 1827 Grewelthorpe. Died 1897. 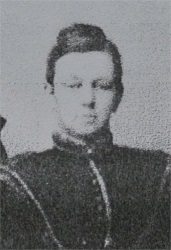 Son of George & Mary of Fingerfield Grewelthorpe. 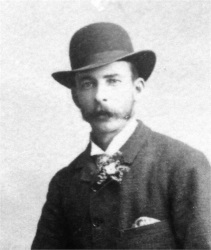 William was living Cuddington, Cheshire in 1891. Married in 1853 to Ann Coops. [died 1871]. Married  in 1877 to Elizabeth H. Mountford. of Stafford. He was a Cream cheese and butter maker. WILLIAM HORNER. Born C1843 Middlesmoor. Illeg. son of Maria. Grandson of Simon & Mary. WILLIAM HORNER. Born C1847 Laverton. Son of Roger & Elizabeth of Carter Syke. WILLIAM HORNER. Born C 1860. Son of William [cheese maker] and Ann Coop. Report in York Herald June 1894.The death reported of Mr. William Horner Boddy age 55. of the Star Hotel Stonegate, York in 1894.He was the youngest son of the late Thomas Boddy of Grewelthorpe and the grandson of the late Mr. Horner of Masham. In his early life he qualified as a chemist and druggist, and was with Messrs Raimes of York. For 25yrs he was a licensed victualler in York and at his death he was secretary of York Licensed Victuallers Assoc. William Horner Boddy was born in March 1839 in Grewelthorpe. The son of Thomas Boddy & Alice Horner. He married Ellen Cooke of Kirk Leavington in 1868.